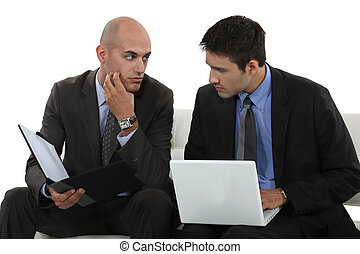 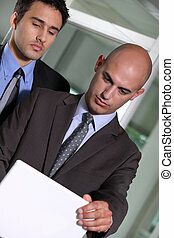 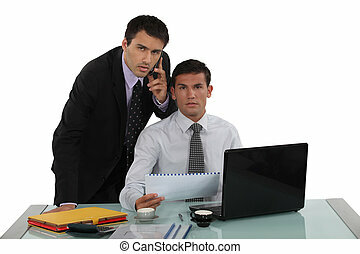 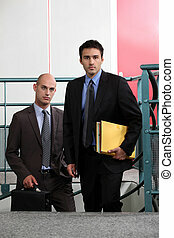 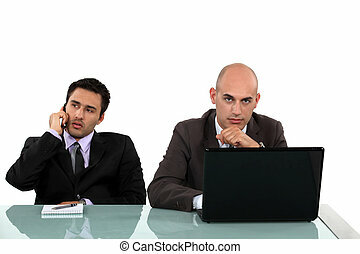 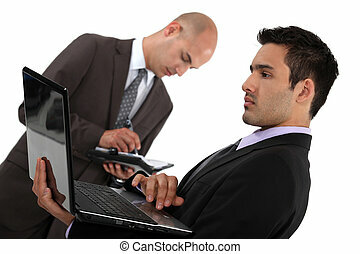 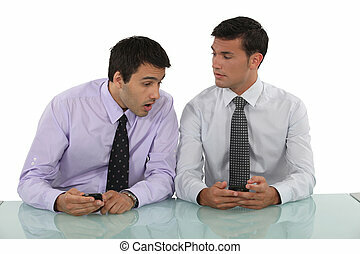 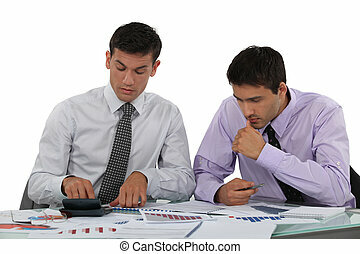 Business associates. 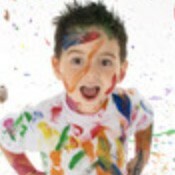 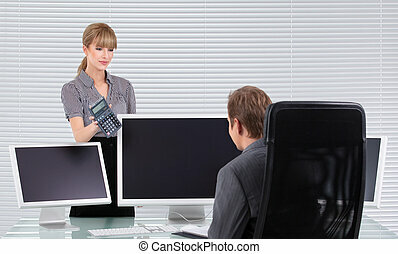 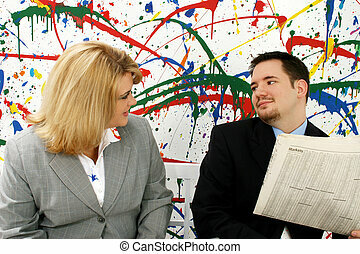 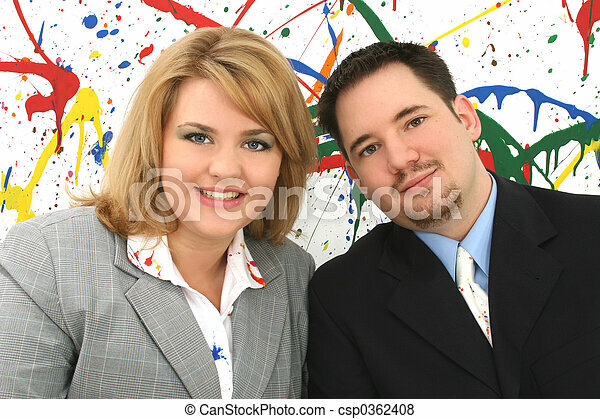 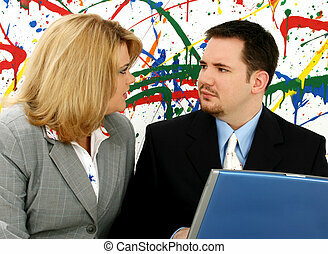 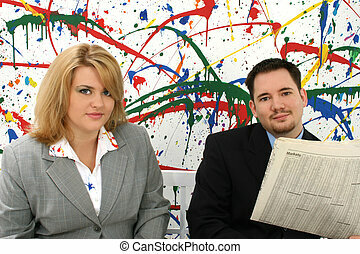 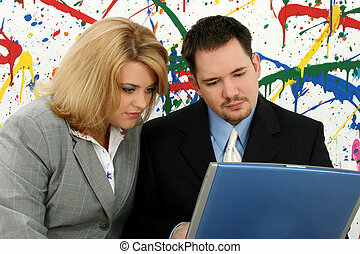 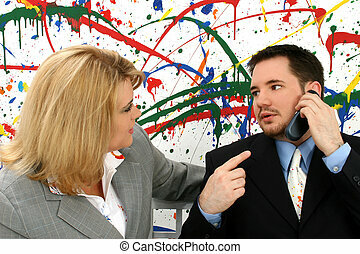 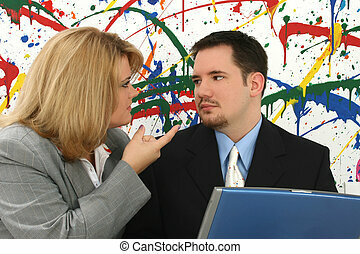 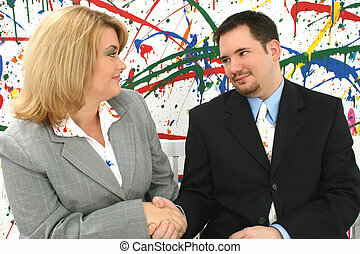 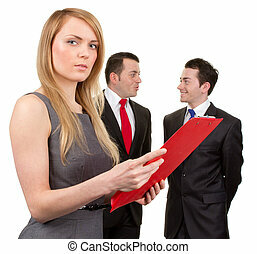 Professional woman and man team; paint splash background. 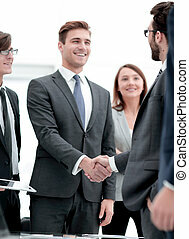 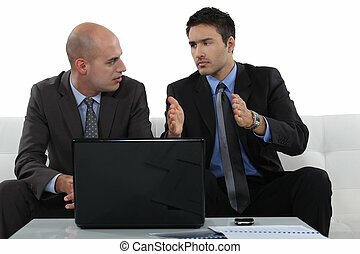 Business associates shaking hands in office.